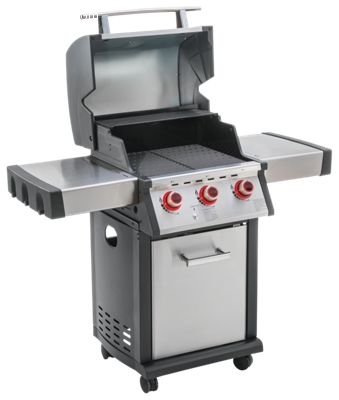 You'll love the 3 Burner Propane Grill with Side Shelves at Mr. Steak. 3 Burner Propane Grill will help you please friends and family every time. 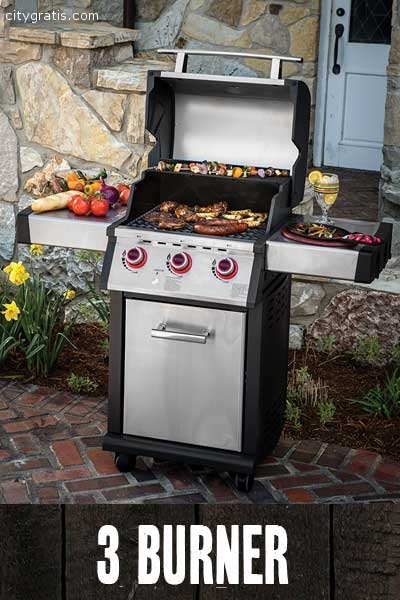 This high performance 3-burner grill cranks out 36,000 BTUs of cooking power from its three 304 stainless steel tube burners protected under durable stainless steel burner tents.